Confession: “Valuation Awareness” Is Everything - Valuentum Securities Inc. I never really thought about my first job interview after college as much as I have in the past few years. I still remember the first question I was asked from a senior analyst: What is a gross margin? At the time, I thought nothing of it when the interviewer was surprised by the thoroughness of my answer. But now I know why. Launching Valuentum has been an extraordinary experience for me – you can even say an enlightening one, even a humbling one. I admit it – 5 years ago, I was a fool. I had no idea what the average investor was truly like. Many years ago I thought everybody knew about the importance of the financial statements and discounted cash-flow modeling. How could they not? It’s the sand in the sandbox, it’s the core of the apple -- it is what investing is all about. Readers really weren’t focused on the journalistic prose in the blogosphere, were they? 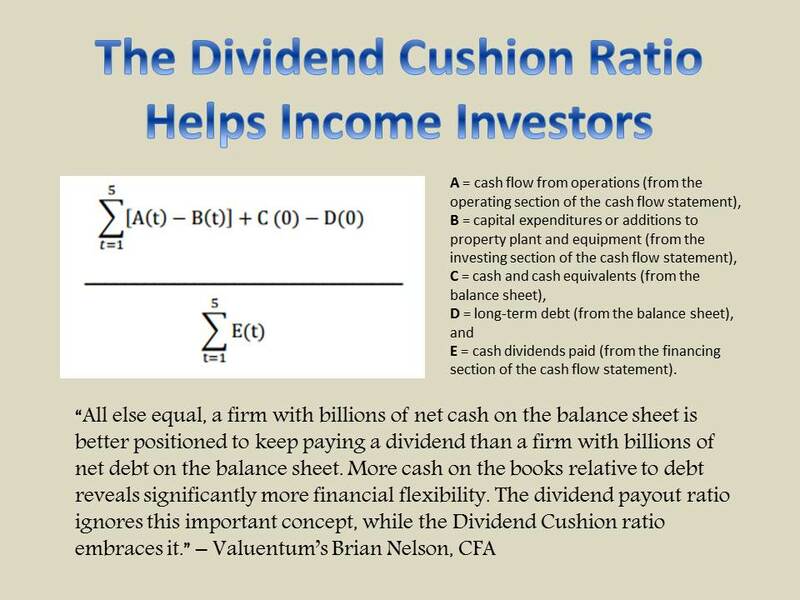 Having built the extensive discounted cash-flow modeling infrastructures for the largest investment research firms, one pretty much has to know everything about how the financial statements work together. A gross margin is just one of thousands and thousands of things one has to know. I forgot that, through my professional life, I had been through intensive, rigorous training. I had developed the equivalent of Navy-SEAL situational awareness whenever I was near anything finance or valuation-related, something we can call "valuation awareness." 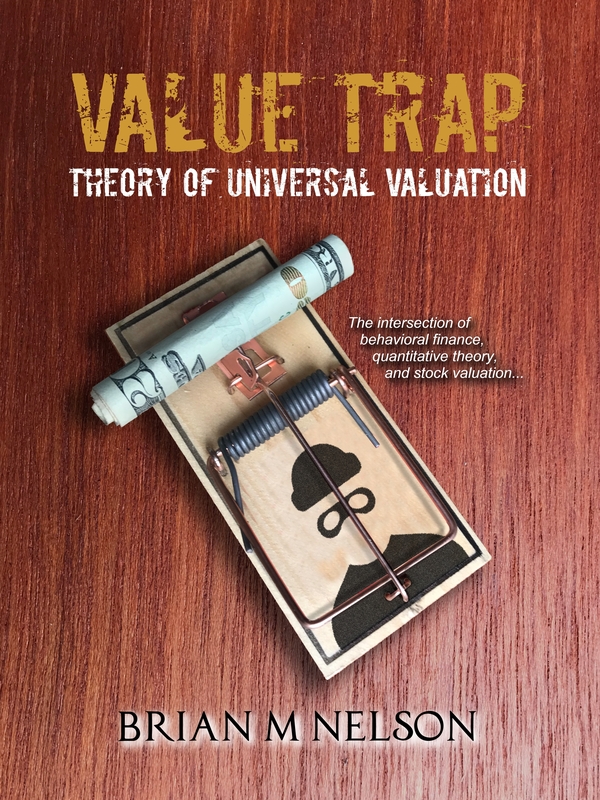 At Valuentum, I used this “valuation awareness” to develop the best valuation infrastructure on the market today. But what I didn’t know was that for a long time, I’d be just “blinking in the dark.” Am I still? Most readers wouldn’t be able to tell the difference. Yikes! I started writing at Seeking Alpha about 5 years ago, and it was “culture shock” for me. You see – I’ve only worked with analysts or portfolio managers my whole life, so I wasn’t ready for the comments from the anonymous reader that wanted to bully my work, or worse. You see -- I’ve never worked with individuals that didn’t have some background in finance or accounting, but yet were so insistent that I was wrong. It was a horrendous experience to take such bullying. I may never recover. Sadly, it was even worse seeing highly-followed authors on other websites write “I like stock XYZ because of reason 1, reason 2 and reason 3…” but they really had no idea what the stock was worth, nor did they really care. They’d try to put a valuation together, and it might look and sound nice to the untrained eye, but I couldn’t get past the first few steps without finding errors in logic or approach. Readers were actually believing this stuff, applauding it, championing it. I was sick to my stomach for some time. In many ways, the blogosphere has made a mockery of the investment analyst profession, and the onlooker is none the wiser. Having been baptized by fire, it’s now not surprising to me why so many investors lose so much money in the stock market. They really don’t know who to believe or what to believe. They never heard of the Chartered Financial Analyst designation, or they don’t care to know. They love free research because it’s free! Except it costs them dearly time and time again. Or not. They might not know or not care. Oh and how readers love to have their egos stoked, and boy do they love writings that agree with them. After all, they think they are right, and therefore anybody that agrees with their view, must be right also, and therefore those that produce research that agrees with them are good researchers. It’s a behavioral fallacy wrapped around some circular thinking, and it’s often why readers tend to see mostly positive research reports out there. Authors want to stoke their egos and be agreeable – and hope that maybe it turns them into a client. Why do they want to disagree? What’s the benefit in disagreeing? It’s sometimes frustrating being independent and objective and telling people what we really think. To me, a service like that is priceless. It's the variant perspective that matters. Having invested considerable resources in building one of the best, if not the best, valuation infrastructures, it was disappointing to me when I finally came to grips that most readers don’t know much about the financial statements at all, let alone discounted cash-flow valuation; therefore, they’d have a difficult time seeing how we truly stand head-and-shoulders above anyone else out there. Surely they would know that the 16-page valuation reports IS the analysis. Researchers can write what they want, but they have to put numbers to it to value the equity. They’d have to know this – and they’d have to know that arriving at an informed fair value estimate takes time, so they’d understand our update schedule. They'd want us to take our time, do the best work. I’ve learned a lot over the past few years: Awareness is everything. Much like anyone that has never played baseball won’t be able to recognize a curveball by the tight dot that forms on the ball as it rotates out the pitcher’s hand, readers that aren’t familiar with what matters in investing won’t be able to separate good research from bad research. They can’t recognize good valuation sense and concepts that can help them from a bunch of numbers or backward-looking price-to-earnings graphs. To the non-ball player, the pitch is just a baseball, not a curveball. To the uninformed reader, financials are just numbers with little differentiation – they can’t recognize which ones are helpful and which ones are not and why. These readers need to work on their valuation awareness. I’m dedicated to increasing your valuation awareness, whichever type of investor you are or level of experience. You’ll not only become a better investor in doing so, but I truly believe that you’ll avoid some of the biggest investing mistakes once you become more aware of the financials and valuation via the discounted cash-flow process, among other things. You’ll be able to separate the good research from the bad. That most may not be paying close attention to the financials is actually quite interesting, if you think about it – I wonder if it has something to do with why our performance has exceeded the average benchmark return for some time. What do you think?